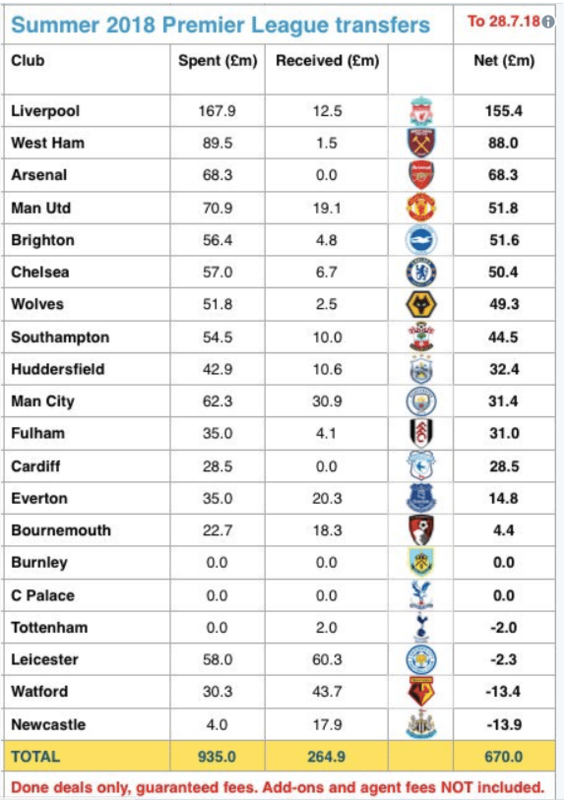 If you were wondering how Newcastle United were doing on Premier League transfers this summer, compared to the other 19 clubs, an interesting table below. Subtracting sales from buys, they then show the net spend for each club. The £3m spend on Schar and £22m to be banked from the impending sale of Aleksandar Mitrovic are yet to be included in these figures. Plus, there appears every chance of Dwight Gayle being sold as well, with between £10m and £15m to be added to the sales total. Yoshinori Muto is still awaiting his work permit, so when that happens it will be another £9.5m to add to the money spent.